One of many popular tributes to the first democratically-elected president of Indonesia, Kyai Haji Abdurrahman Wahid, which emerged spontaneously in the years following his death in December of 2009. Javanese mystical poem sung by LibForAll co-founder Kyai Haji Abdurrahman Wahid at a spiritual gathering of Nahdlatul Ulama followers, to praise God and convey the essence of Islamic teachings. The title refers to a characteristic saying of President Wahid that he used to calm public disturbances, by encouraging the acceptance of cultural and religious differences as an expression of Divine Will. One of many popular tributes to the first democratically-elected president of Indonesia, Kyai Haji Abdurrahman Wahid, which emerged spontaneously in the years following his death in December of 2009. Eny Sagita is a popular “dangdut koplo” singer who appeals to a mass audience in Central and East Java. One of many popular tributes to the first democratically-elected president of Indonesia, Kyai Haji Abdurrahman Wahid, which emerged spontaneously in the years following his death in December of 2009. The title refers to a characteristic saying of President Wahid that he often used to calm or prevent public disturbances, by encouraging the acceptance of cultural and religious differences as an expression of Divine Will. 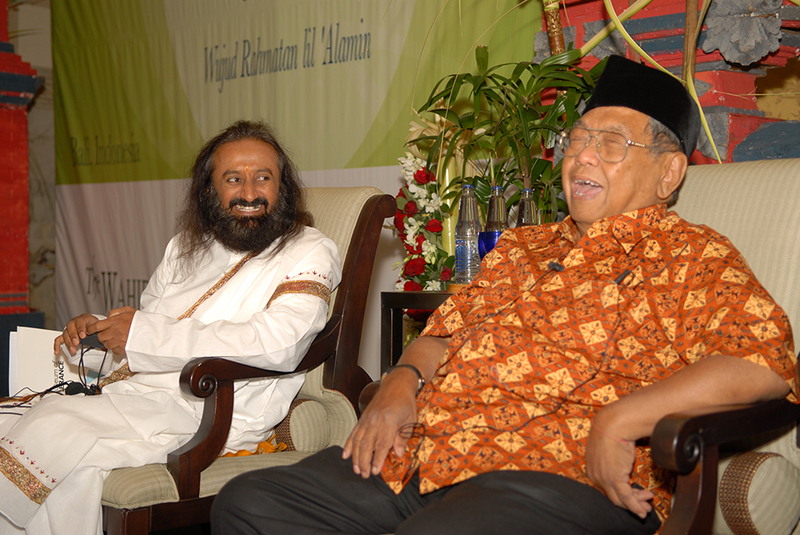 LibForAll co-founder and patron Kyai Haji Abdurrahman Wahid died peacefully in Jakarta on December 30th, 2009, to the great sorrow of countless Indonesians of every faith and ethnicity. It was deeply moving to witness the torrent of love and grief that accompanied his passing. And despite the sorrow that this brought, we count ourselves fortunate to have known President Wahid so well, and for so long. During his lifetime, he served as LibForAll’s sesepuh (Javanese, for the elder statesman of a nation, clan or family). In death, he has become our pepunden (Javanese, for a deceased ancestor whose spirit continues to guide and protect his offspring). 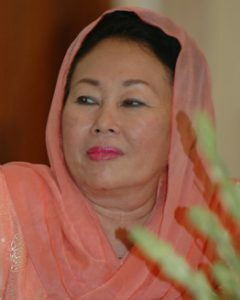 In continuance of his legacy, Her Excellency Ibu Hajjah Sinta Nuriyah—President Wahid’s widow—now serves as LibForAll’s patron and senior advisor, as we work to fulfill her husband’s vision for the future. LibForAll Foundation and its innovative counter-extremism programs have come to represent a vital part of President Wahid’s legacy. I know that he deeply appreciated the encouragement and support of many like you, without whom we could not have developed, and operationalized, these highly effective programs. Several years ago, President Wahid and I discussed the question of succession during a LibForAll board meeting, and what would happen when, in his words, he “vanished from the face of the earth.” We agreed that one of LibForAll’s primary strategies, and goals, should be to develop a global counter-extremism network consisting of top leaders in the fields of religion, education, pop culture, government, business and the mass media, whose combined strength would ultimately exceed even that of a giant such as President Wahid. The creation of this Rahmatan lil ‘Alamin (“Blessing for All Creation”) Network has resulted in multiple world-class achievements and helped develop a strong organization, capable of executing a broad range of programs carefully designed to help realize President Wahid’s vision: i.e., the global triumph of a pluralistic and tolerant understanding of Islam, at peace with itself and the modern world. Although, in his own words, he has now “vanished from the face of the earth,” his enormous influence remains – a testament to God’s infinite love, mercy and compassion, and the noble heights to which the human spirit may attain. It was typical of President Wahid’s greatness that even when religious extremists attacked and reviled him, he remained self-confident and experienced a deep, inner joy, derived from the knowledge that he was performing God’s work, and serving humanity. May this inner peace and joy always be with you. 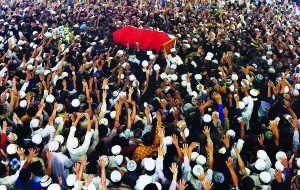 In the months following President Wahid’s death, millions of people came to visit his grave in the remote East Javanese town of Jombang. His family had to constantly replace the earth atop his grave, where a hole kept reappearing as a result of people removing the dirt and flowers to carry home with them, one handful at a time. Several years after his death, the East Java Tourism Agency reported that an average of 550,000 pilgrims were visiting the shrine each month, making it one of the most heavily-visited pilgrimage sites in the entire world. 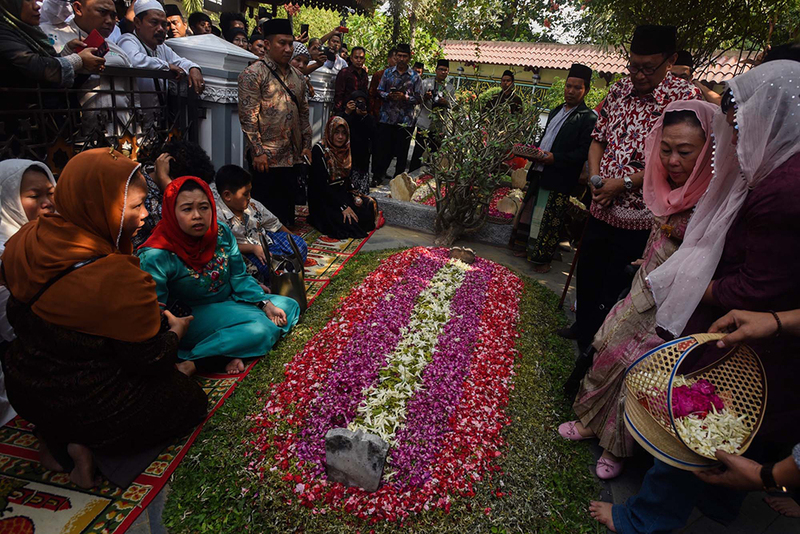 Indonesians have paid tribute to President Wahid in countless other ways. For example, a troupe of folk dancers from East Java has created and popularized a new dance in memory of Gus Dur (as President Wahid is widely known). 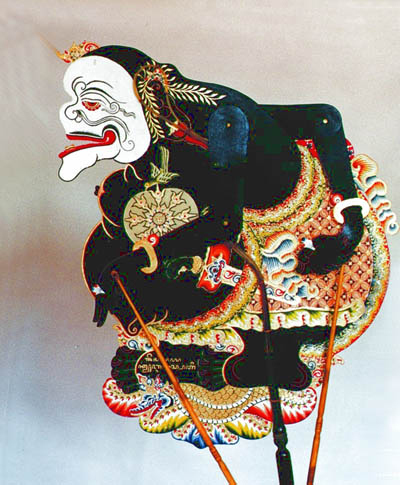 Semar (photo right, an ancient Javanese deity with whom Indonesians have long associated President Wahid) and his disciples discuss how Gus Dur’s jiu-jitsu-like maneuvers—which were reminiscent of the famed “Drunken Master” of kung fu legend—constantly frustrated his opponents, whether they were political authoritarians or religious extremists. For although Gus Dur’s actions might appear unpredictable or capricious to those whose only concern was power, the masses recognized his unwavering dedication to principle, and to the welfare of humanity. 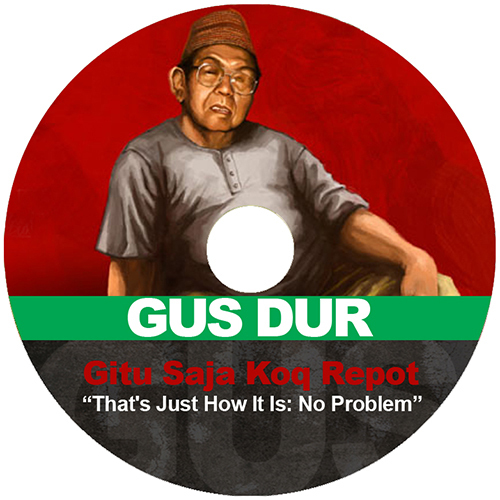 Gus Dur, the most consistent of men! Gus Dur, who always defends the people! Gus Dur, who is half-god! “The “voice” is gone. And we are left with wilderness. Gus Dur, the voice that made the wilderness less terrifying, shall no longer be heard. His was the voice of hope, the voice that kept the flame of hope burning in many hearts. Alas, that voice is gone. And yet, on second thought, where can it go? The echo of each and every word he ever uttered shall remain here. Right here, with you and with me—with all of us.” Read the full article (PDF). “The blind man with 20/20 vision: A tribute to Abdurrahman Wahid,” by Rabbi Abraham Cooper, associate Dean of the Simon Wiesenthal Center. 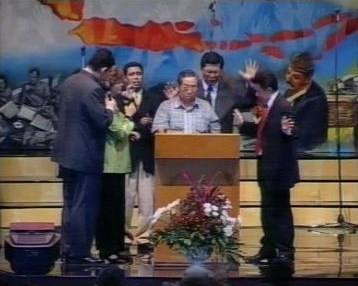 “By the time I met him in the spring of 2007, his eyesight was failing, and his kidneys were not far behind. Yet, it took only a half hour, sitting with him and his family around their dining room table in Jakarta, to come under Gus Dur’s spell. With the passing of Abdurrahman Wahid we have lost a leader with crystal clear vision of Religion’s true role in the lives of individuals and nations. Let the memory of this good man help us take back the day from extremism and hate.” Read the full article (PDF). 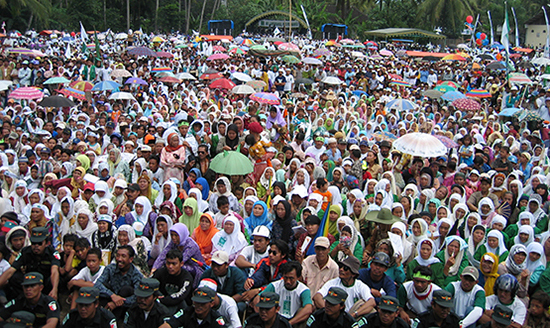 “Wahid, known by his nickname Gus Dur, was a democratic reformer and advocate of moderate Islam. ‘He was one of the greatest thinkers and philosophers of Islam in Indonesia.’” Read the full article (PDF). 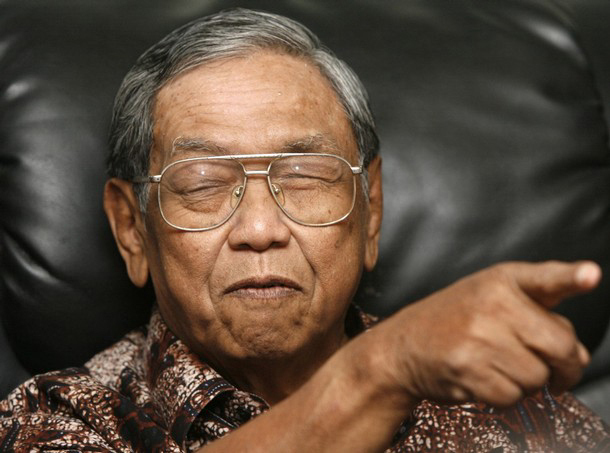 “Indonesia and the world will miss Gus Dur dearly. …he will be remembered as one of its greatest men and hopefully a model for its future.” Read the full article (PDF). 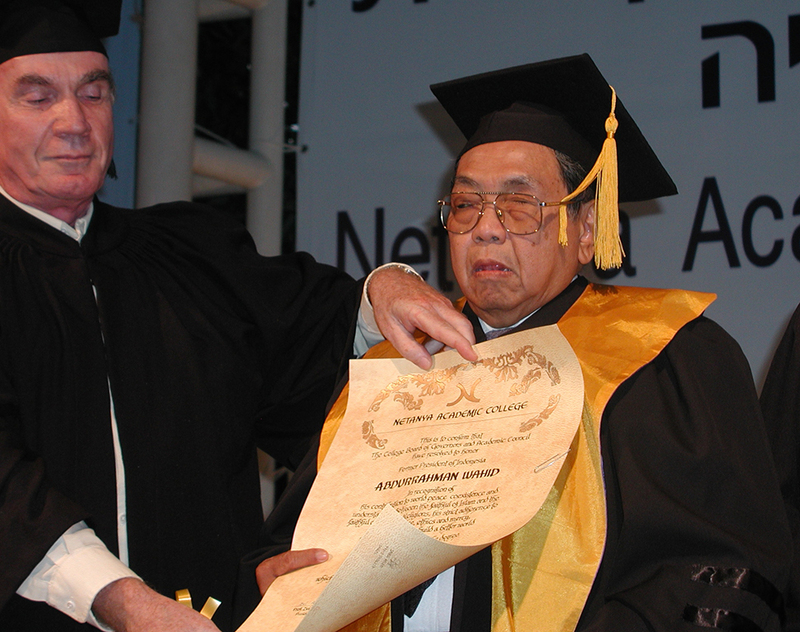 “Australia lost one of its best friends in Southeast Asia with the passing of former Indonesian president Abdurrahman Wahid on Wednesday. A controversial figure, particularly as president, Wahid was nevertheless loved and admired by tens of millions.” Read the full article (PDF). “The outpouring of affection for Gus Dur is not surprising… A moderate Islamic scholar, his most important legacy was paving the way for the democracy that Indonesia, the world’s most populous Muslim nation, now enjoys.” Read the full article (PDF). “Wahid is remembered today largely for his role as a reformist president, but history is likely to also remember him as one of the 20th century’s leading Islamic intellectuals and as someone who demonstrated how a traditional Islamic scholar can also be modern, democratic and humanitarian.” Read the full article (PDF). “One of the world’s most admirable leaders died last week. It is lamentable that the name of Abdurrahman Wahid is less known than the villains and tyrants he fought and overcame. The former president of Indonesia was the major reason his country emerged from brutality and chaos to become the best example of democratic advances in Southeast Asia today. Known both affectionately and respectfully as Gus Dur, Wahid has left a legacy that will be difficult to live up to, but highly deserving of the effort.” Read the full article (PDF). 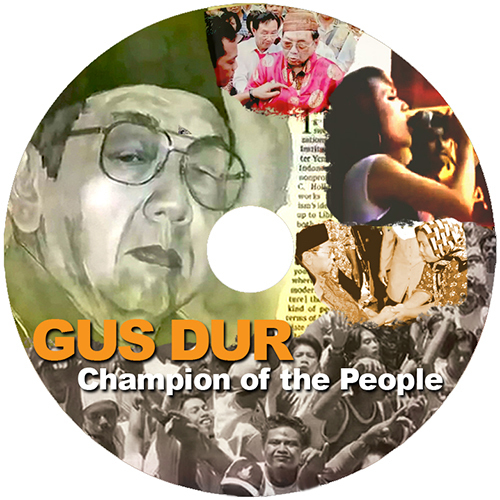 Popularly known as Gus Dur, H.E. Kyai Haji Abdurrahman Wahid was Indonesia’s first democratically-elected president and long-time head of the Nahdlatul Ulama, the world’s largest Muslim organization. He was also the recipient of the 2003 Friends of the United Nations Global Tolerance Award and of the Simon Wiesenthal Center’s Medal of Valor. 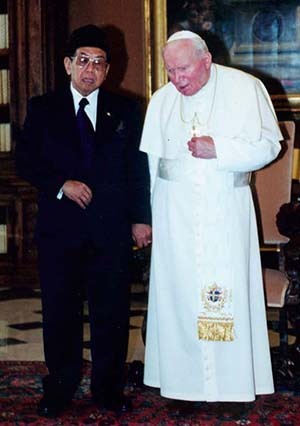 Photo left: President Wahid with Pope John Paul II in the Vatican. 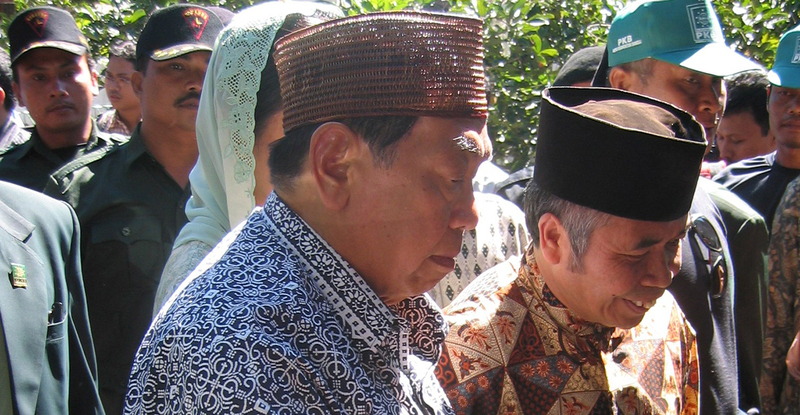 For over thirty years, Gus Dur used his position to advocate religious tolerance, pluralism and democracy. On many occasions, he sent members of his Muslim organization to defend Christian churches and congregations—with their lives, if necessary—from attack by radical Islamists. 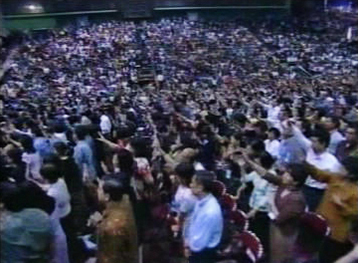 This photograph show a crowd of over 10,000 Indonesian Christians praying for this powerful Muslim leader, who dedicated his life to defending the right of everyone to worship God in his or her own way. In addressing Muslim audiences, Gus Dur invariably reminded his listeners of their sacred duty to respect others’ beliefs, and to avoid any form of discrimination or intolerance towards those who worship differently from themselves. 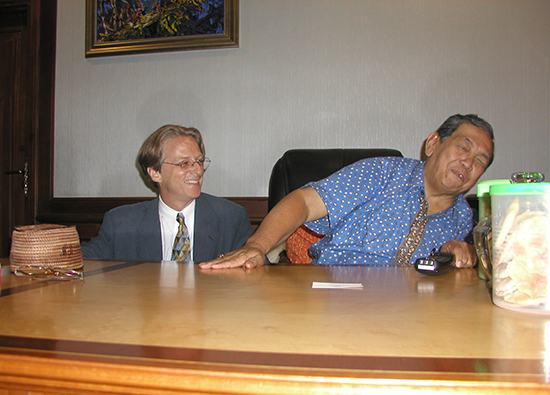 LibForAll founder, Chairman & CEO Holland Taylor and co-founder/board member Kyai Haji Abdurrahman Wahid roaring with laughter, as they shared a light moment in Wahid’s office. Together, they helped define LibForAll’s strategy. Click here to read an interview with Kyai Haji Abdurrahman Wahid.